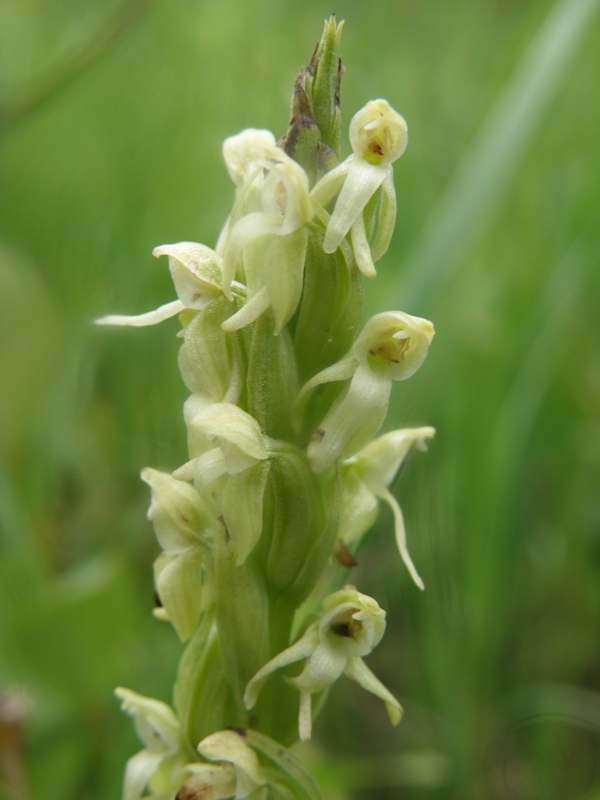 There is considerable confusion surrounding this orchid, which is known to occur in Iceland and Greenland as well as having been found in North America, although recorded under a various names over the years. 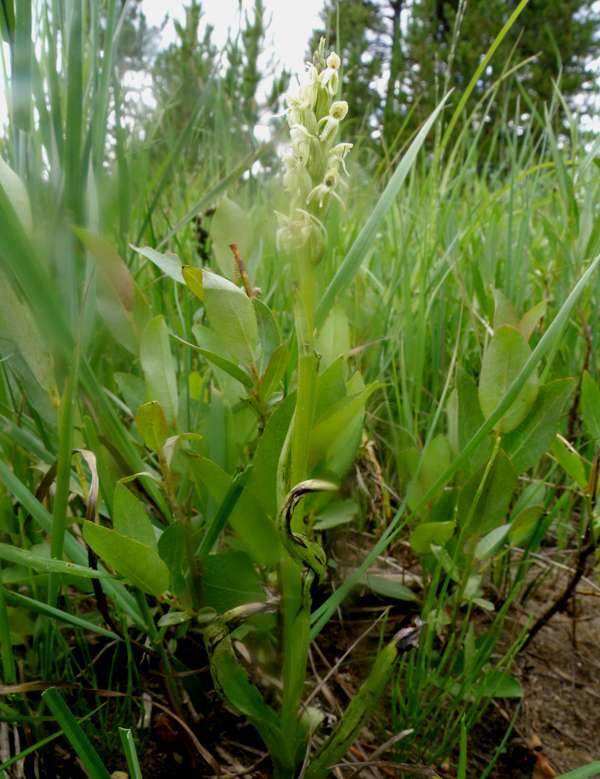 The Northern Green Orchid (also referred to as the Northern Green Bog Orchid or the Green-flowered Bog Orchid) grows in wet, shaded areas in meadows, along stream banks and in wet flushes. Its favoured habitats are often flooded in autumn or spring or completely submerged by water or snow during the winter. The specimen shown on this page was photographed in Rocky Mountain National Park in late August on the banks of the Colorado River.